Controller will cost $49.99, but the package includes two free games. Eventually, you'll have a wide variety of third party controllers for your favorite Android phone. For now, it's slim pickings, but PowerA hopes to dominate with its MOGA controller, a wireless device that syncs to one's smartphone via Bluetooth with the intent of providing a more tangible gaming experience. Physical buttons? Sounds good to us. 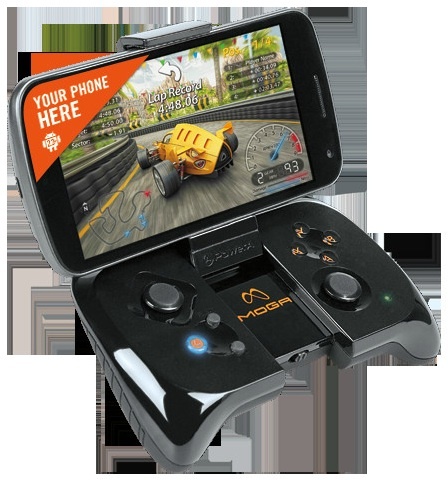 On that note, the MOGA Mobile Gaming System will be available nationwide on October 21, with a retail price of $49.99. Not only that, but it will come with two free Android games, Sonic CD and Pac-Man. Great choices. "Gamers are already walking around with phones with exceptional screens and fast chips," said Eric Bensussen, president of PowerA. 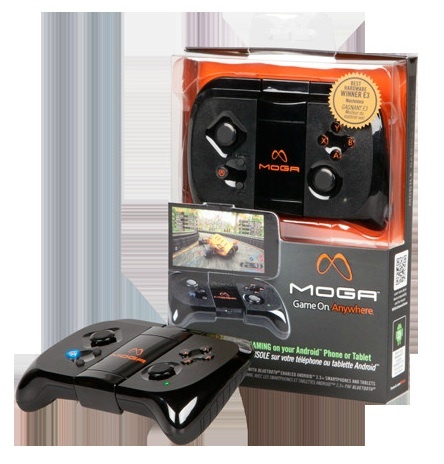 "For under $50, they can clip that phone into the MOGA controller and finally get console quality gaming experiences anywhere." Even more good news, various mobile publishers like Gameloft (Asphalt 7: Heat, The Dark Knight Rises), Atari, Namco Bandai, Sega and Remedy Entertainment (Death Rally) are on board to support the MOGA. "The MOGA SDK made it quick and easy to make our steering controls feel more precise and natural in Death Rally," said Aki Jarvilehto, SVP at Remedy Entertainment, creators of the Max Payne and Alan Wake console franchises. "Finally we have something that's easy to use, simple to implement, and provides console-like controls that gamers have been yearning for." MOGA will initially support Android 2.3 (Gingerbread) and higher mobile devices. Seems like a cool gadget, and dual analog sticks should prove useful for first and third-person games. That said, we'll have more on MOGA next month.